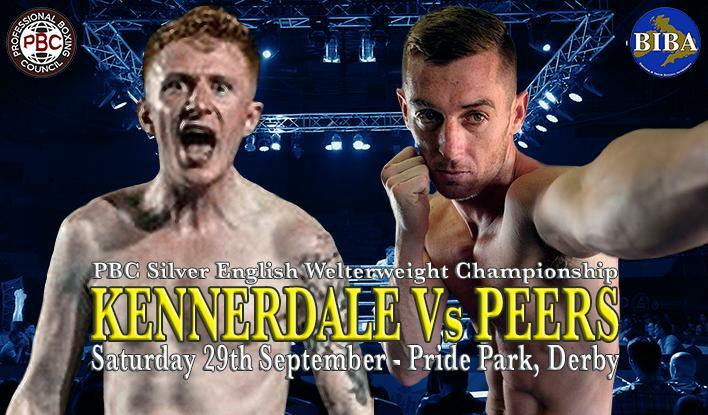 Over the past year or so there's been a lot of speculation, or should that be desire, about the possibility of an all Merseyside showdown between local heroes Craig Kennerdale and Paul Peers. When Dan Gray first proposed the fight to Paul Peers, Peers had told him "Good luck mate, others had tried to make the match-up in the past and failed." Not to be deterred Gray not only convinced Kennerdale's manager Kyle Gallagher that the time was right, but also the unbeaten prospect himself. "I always knew that Paul and I would face each other one day, but always expected it to be much later on in our careers, but when Dan (Gray) dangled the carrot of making it for a title, my first title shot, I just couldn't refuse. "I've been waiting for this opportunity for so long, I've been around the sport since I was ten years of age and in that time every single training session, every spar and every fight I've ever had has been leading to this fight, I can't wait for Saturday night, it's my dream to win a title. "I can't help but think that this fight has all the hallmarks of being a seriously good all action fight the fans will love to watch. "I believe styles make fights, the difference in our styles, as well as the way we approach fights make this a very interesting match-up. It's going to be a war on Saturday night. "Like most boxers on the Liverpool circuit, I know Paul’s ability and believe me I'm not taking anything lightly, he's a good technical boxer with a strong amateur pedigree. "I’m unbeaten in the pros and believe me I don’t intend on losing my '0' anytime soon. "Although I have respect for Paul, I’m here to win. I’m in the best shape of my life, I’m hitting harder and faster than ever before and because of that I have every confidence that it will be me that lifts the belt come fight night. "Respect to Paul Peers and may the best man win!"